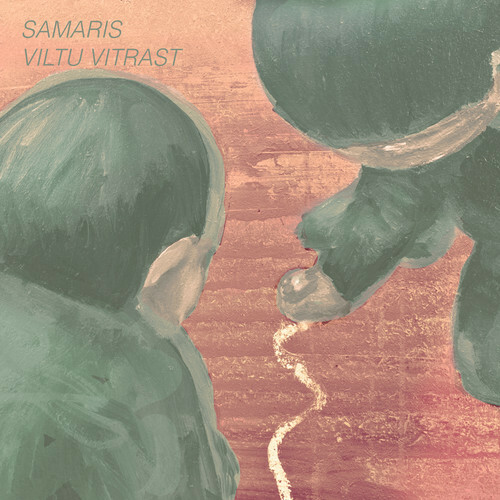 Back in July the Icelandic teenage trio Samaris released their self-titled debut album. Their debut album is made up of the band’s two Icelandic-released EPs, ‘Hljóma Þú’ from 2011 and ‘Stofnar falla’ from 2012, along with 4 additional remixes. The album’s second track, “Viltu Vitrast” has been lifted from the album and released as a single. “Viltu Vitrast” is a gorgeous, melodic and quirky electro number sung in the band’s native Icelandic tongue. Comparison to Björk will, of course, be inevitable not only because of their Icelandic ties but Samaris do indeed share a similar style and quirk. And while we’re drawing comparisons, “Viltu Vitrast”, and Samaris in general, also calls to mind Little Dragon as well as the most recent album from The Knife (read our review of the brilliant ‘Shaking The Habitual’ album) with its combination of organic, woody sounds set against pristine electronics. Interestingly, it’s the clarinet during the intro and around the 2 minute mark which provide the song with its main melodic hook. An intriguing and lovely little tune from this exciting new act, ‘Viltu Vitrast’ was released as a single on 7 October, 2013 through One Little Indian Records.